I love this deal! 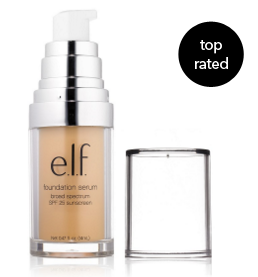 Shop at e.l.f. Cosmetics and get their favorites for FREE. 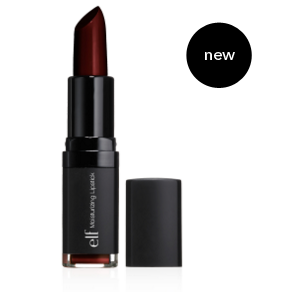 You will get their 4 favorite new products of the year (a $14 value) for FREE. Use the code GIFTTOYOU when you purchase $25 or more of product. These products are so great. They have so many great colors to choose from. 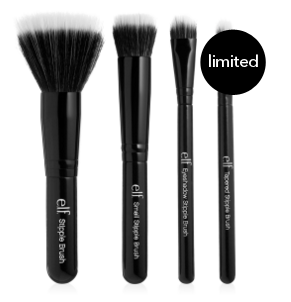 I love their cosmetic brushes and especially the Travel Brush Case. 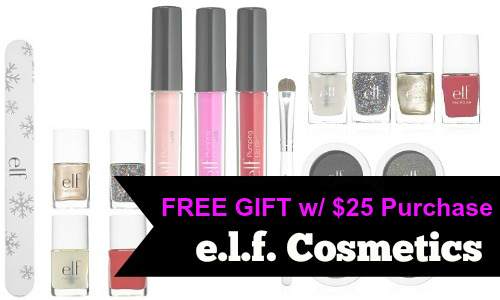 This would be a great deal to pick up some of your favorite cosmetics and use the FREE gift for a stocking stuffer. FREE shipping on $35 or more. Offer valid 12/14-12/18.